Although pundits and commentators often cite the influence of emotion, we still lack a clear understanding of what role emotion actually plays in the relationship between these two powers. As the world’s second and third largest economies, and neighboring naval powers with expanding military capabilities, the relationship between Japan and the People’s Republic of China is arguably one of the most significant in the international realm. Cooperation between the two countries could deliver strong mutual benefits in security, economic development and environmental protection. And yet, the relationship between Japan and China has been prone to repeated episodes of mistrust, tension and mutual recrimination. Why? 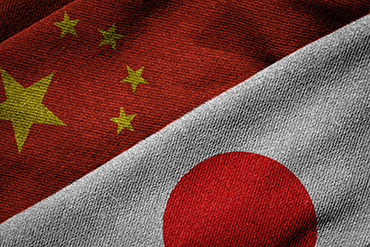 Within the discipline of International Relations, three factors are commonly used to explain the instability of relations between Japan and China: security issues, economic ties, and emotion. But while much scholarly attention has been given to the conventional security and economic dynamics at work in the relationship, emotion has generally been treated as a dark matter, both ubiquitous and intangible. What does it mean to say the relationship is shaped by emotions? The adjective ‘emotional’ can and has been used to describe everything from nationalist outbursts, sentiment reflected in polls, and even the personal attitudes of policymakers on both sides. Although pundits and commentators often cite the influence of emotion, we still lack a clear understanding of what role emotion actually plays in the relationship between these two powers. The goal of this project is to explore the ways emotion can operate within international relations and to provide a new vantage point for understanding the dynamics of Sino-Japanese relations. Conducting research in both Tokyo and Beijing, this project will reconstruct and assess events and incidents from the last 15 years that exemplify the nature of the tensions between the countries. It will draw on Japanese and Chinese source materials to explore the analytical value of explanations that include emotion. In doing so, it will aim to replace folk theories and implicit assumptions about emotion with a theoretically rigorous and empirically grounded account. A better understanding of the emotional dynamics can help to inform efforts to short-circuit cycles of mutually damaging escalation in Sino-Japanese relations and thus contribute to defusing disputes which threaten the stability not just of relations between China and Japan, but also East Asia and the wider world.